The story of the Christmas Tree Ship, the Rouse Simmons, has fascinated people since it foundered in Lake Michigan in November 1912 near Two Rivers, Wisconsin, and several books and countless articles have been written about the Rouse Simmons and its brave Captain Herman Schuenemann, his wife Barbara, and their daughters. Even though the Rouse Simmons was built in Milwaukee, Wisconsin, and sank off the Wisconsin shore, it is just as much of a Michigan as a Wisconsin story. 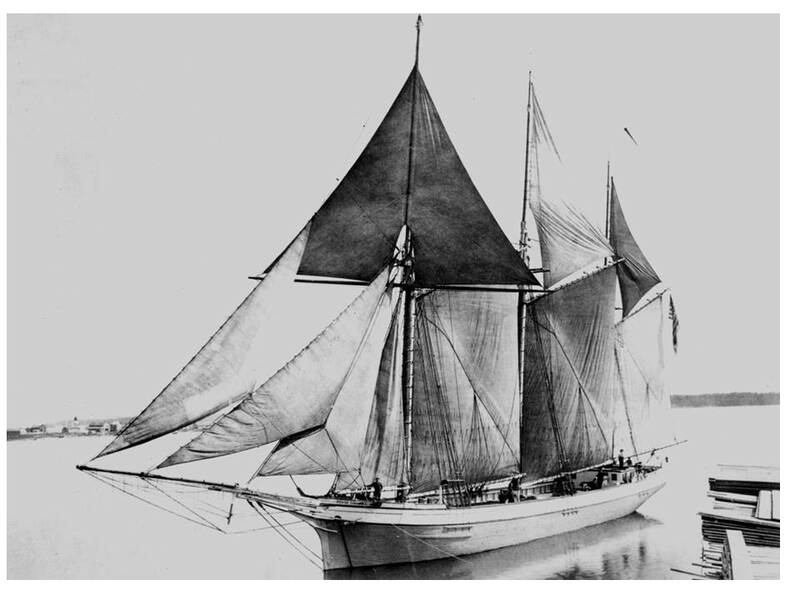 Prominent Michigan mariners and businessmen like Charles Hackley of Muskegon and Mannes J. Bonner of St. James, Michigan owned her and guided her destiny, and northern Michigan forests furnished most of the Christmas trees that the Schuenemanns sold at the Clark Street Dock in Chicago. In fact, the Michigan cities of Grand Haven and Thompson were among those that served as the Christmas Tree Ship's home ports.